Never Enough Nails: Lynnderella Friday- Halloween LEs! Happy Friday!! Today I have some new limited edition Lynnderellas for Halloween! Halloween Lynnderellas are my absolute favorite, she always does such fun stuff! First up today is Lynnderella Newly Fangled (love the name!). 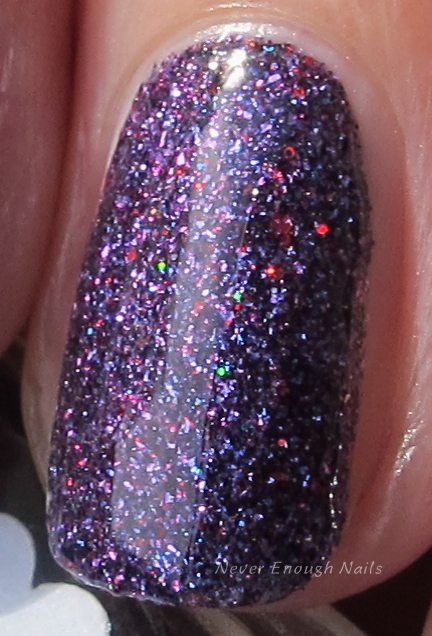 Newly Fangled has a blue-violet shimmery base, with violet and burgundy microglitter. I love the peeks of burgundy in the vampy purple base. This is two coats and it very easy to apply. It is quite opaque and smooth to the touch with just one coat of top coat. 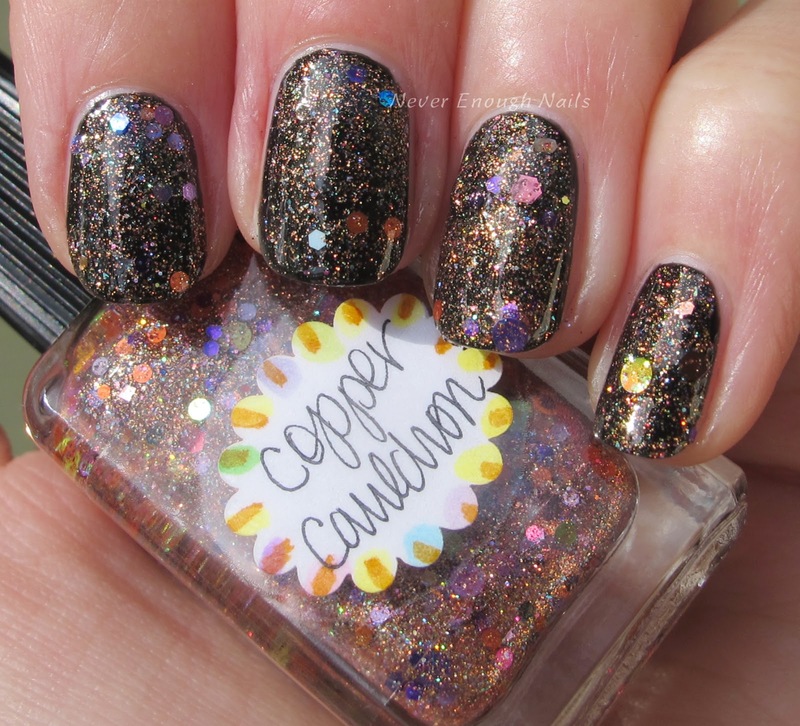 Lynnderella Copper Cauldron is a multiglitter/microglitter hybrid, meaning it has a lot of copper holographic microglitter and a great selection of other glitters in a clear, green-shimmered base. 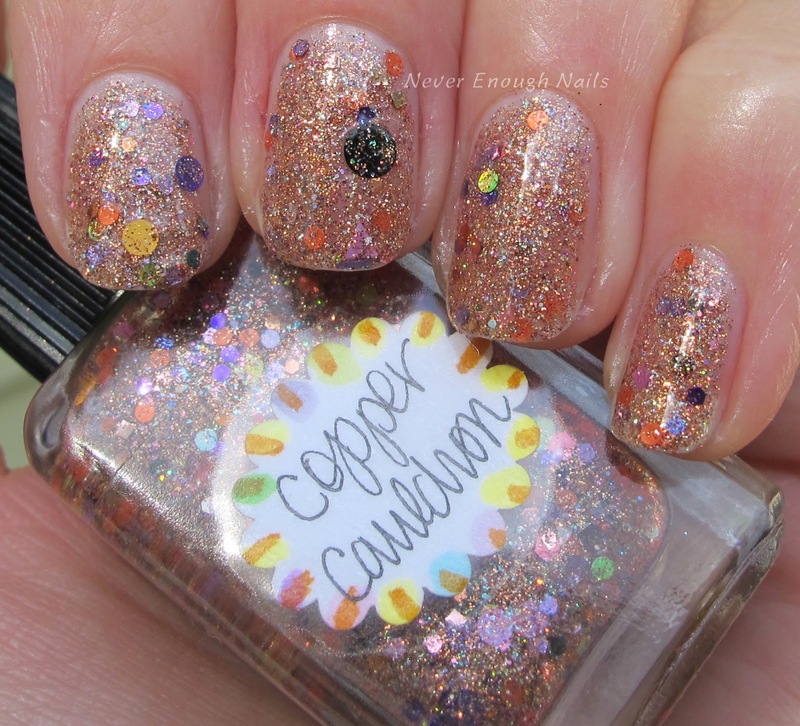 I love the copper glitter with the purple, pink, gold, red, and blue glitters. 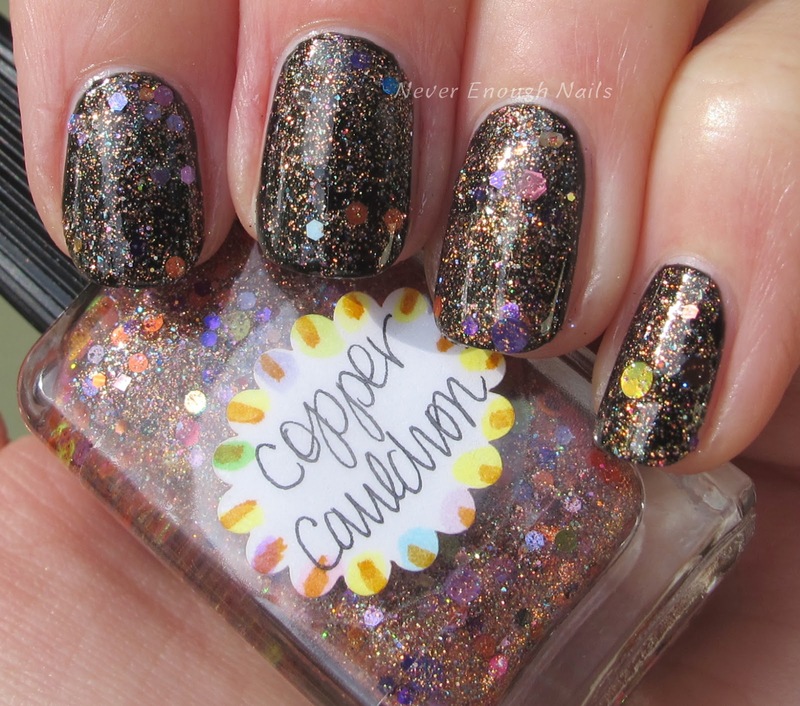 This is just one coat of Copper Cauldron over black. The glitter is quite dense, but I found it to be easy to apply with the dabbing method. Since the glitter is so dense, I wanted to see if I could wear this with no base. 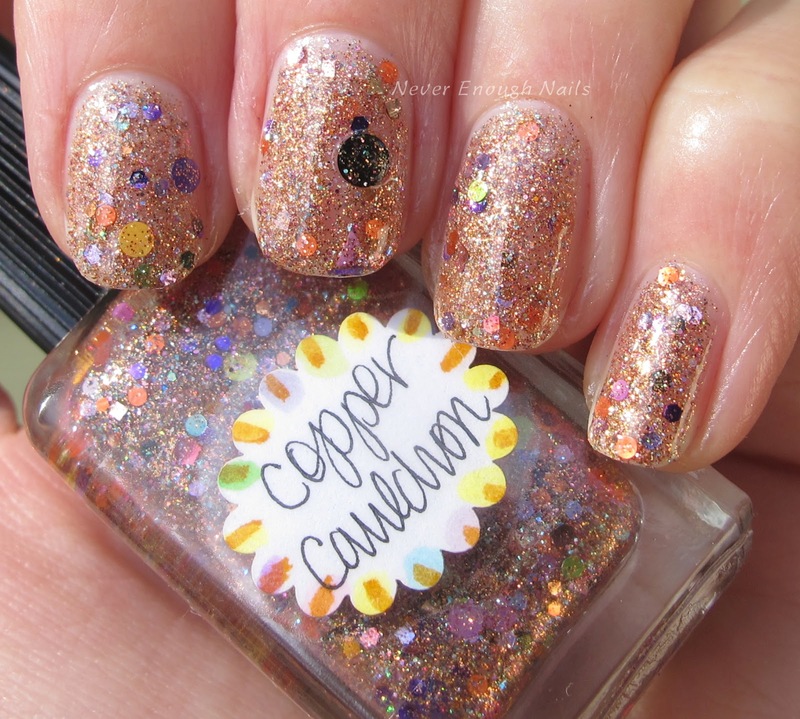 This is three coats of Copper Cauldron alone, so it definitely can build up to full coverage! Lynnderella Oogie is my new favorite Halloween polish. It has googly eye glitters!!! Oogie is a multiglitter with tons of gorgeous greenish gold shimmer and holographic eye glitter. It also has copper microglitter and my favorite circle glitters in green, purple, red, black, and orange. Perfect Halloween colors! This is one coat of Oogie over Sally Hansen Midnight Affair. As with Copper Cauldron, I found dabbing to be the best method of application to get all of the glitter and shimmer spread out evenly. The formula is good though, a great consistency.